If you are throwing a baby shower anytime in the future, near or far, you need to remember to make these fun Oreo pop baby rattles for your dessert table. 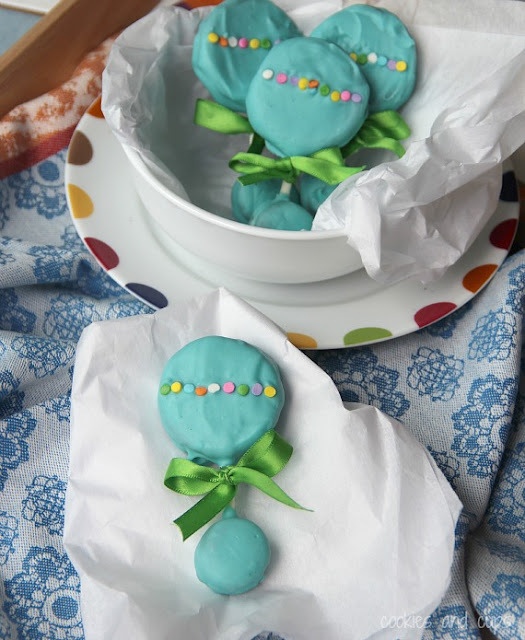 They are beyond cute and a lot easier to make then some other cute baby themed treats. Now if Shelly could just think of a way to make them smaller and add them to one of her famous snack mixes, THAT would be perfect! You can check out how to make Oreo baby rattles over at Cookies and Cups.